Providing you the best range of boondi making production line, kurkura line, grain processing machine, automatic instant noodle processing line, banana chips fryer machine and noodles processing machinery with effective & timely delivery. 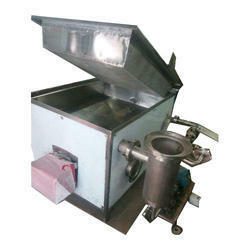 In Screw type Boondi making a machine, various types of Boondi can be prepared in a continuous process. The size and diameter of the Boondi are not fixed it depends on disc mesh size like as 2 mm 3mm 5mm 6mm. due to this method With the help of Screw, the Boondi is prepared in its exact shape. We are the leading manufacturer of Kurkura Line, we give the total online solutions of setting up the new plant & modifying the old as well. We design the plant on fully & semi-automatic as per the requirement. Suitable for processing of all types of pulses Easy to operate Operates by electric motor / oil engine Recovery of head pulses - 78% to 80% Recovery of broken - 1 to 3% De husks and splits almost all pulses retains proteins and natural shine Special provision for bangle gram (Chana, chickpeas) by stone chakki for dehusking and splitting. 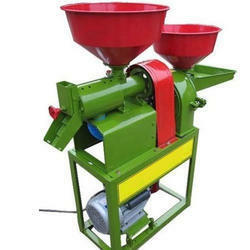 Emery Roller is a machine for de-husking pulses thus this machine some time called as pulses Splitter. They are used in various pulses mills for pre-treatment and obtaining gota. It is operated by a motor and the hopper is mounted at one end. The roller with emery rotates inside a screen. Passing through the screen husks get removed and pulverized. The pulses which are shelled gets out of the outlet which is at the other end of the machine. Jas enterprise offers horizontal abrasive carborundum/emery stone grits roller cylindrical mill of different capacity, run by an electric motor was developed for de-husking and splitting of food legumes viz. pigeon pea gram and black gram. It consisted mainly of the emery coated roller to give 850-900 RPM and dal (splits) recovery 74.75%. Though the unit is similar to a traditional miller machine and gives more or less the same dal recovery. It is useful for small-scale production of dal in villages and towns. 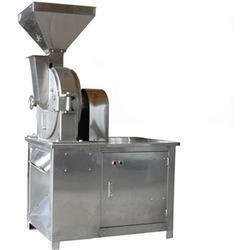 The grains are a highly effective as well as non-stop continuous polishing process. Easier operation and less maintenance cost. Retains proteins and natural shine. Compact design occupies very little space. A minimized power consummation by the way of friction loses. Low noise operation, no wastage of product and no pollution hazard. Especially suitable for small-size or self-owned enterprises. It is very easy to be saturated with water. 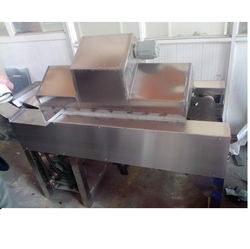 This Banana Chips Fryer is well designed to maintain heat all over frying area, for uniform frying. Equipped with an imported atomized burner with twin filter unit. Temperature maintains all over oil with the controller. Easy draining wire mesh system with balancing unit. Fuel saving fabricated insulation heating zone system. Automated tilting for Chips delivery. Panel System with the temperature indicator for easy visualization. We have a large line up of noodle making machines that come largely suited for mass production of different kind of noodles. The noodle processing process comes inclusive of highly sophisticated mixing of raw materials, dough sheeting, compounding, sheeting, rolling, slitting, steaming and air drying. Our series of processes stays consistent. Easy to operate, saving time and labor Operator needs no experience, production is rapid. The thicknesses of noodles are adjustable. The machine is easy to assemble, clean and maintain Special alloy steel / cast iron gears minimize both friction and noise providing quiet operation. 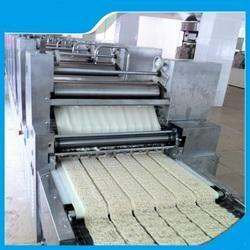 The noodles making machinery are highly effective as well as non-stop continuous noodles making process. Air-dried instant noodles, wavy noodles-strands are first steam for 18-20 minutes at 100 C, and then dried for 5 to 6 hours using hot blast air at 50 to 60 C. The dried noodles are cool prior to packaging. Air-dried instant noodles have a low-fat content so some people prefer them. They also have a longer shelf life because little fat rancidity is involved. Steaming appears to be very critical to this type of noodles since it affects the water dehydration rate of the product. However, the slow output of the process and lack of pleasant shortening taste and mouthfeel make the product very much popular in Asia compared with instant fried noodles. The operator needs no experience, production is rapid. Designed for uniform circulation of hot air in the drying chamber Available in wide-ranging models from 12 to 192 trays capacity. Temperature controlled by thermostat provided with the unit. Electrical control panel mounted on the upper body. Trays are fabricated from aluminum (stainless steel trays optional). 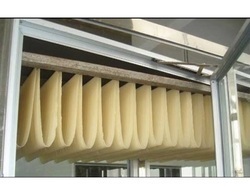 The noodle dryer machines are highly effective as well as non-stop continuous drying process. Easy to operate, saving time and labor Operator needs no experience, production is rapid. The temperatures of tray dryer are adjustable. Vermicelli, spaghetti, sewai, may be a popular instant food. It falls below the class of extruded product and is formed from wheat flour. Now and then foodstuff like tapioca, soya bean or groundnut flour is additionally added. Thus, it's protein-rich foods and liked by individuals from all walks of life, no matter age. it's essentially a snack dish item and now and then it's additionally used as a table enriches. With ever-changing lifestyles, larger awareness concerning health associated preference for fast food things has created vermicelli, spaghetti, sewai highly regarded and an item of mass consumption. We bring about for our valued clients, an intensive array of vermicelli making the machine. In compliance with the international quality standard, these machines are manufactured using optimum quality raw material, obtained from the certified vendors in the industry. Our range of products are offered with numerous capacities and is widely acclaimed by the purchasers. Developed in compliance with the international quality standard, our vermicelli production line is widely appreciated for its high quality. The making process of vermicelli includes the following stages mixing the raw materials, extruding, drying and packing. The flow diagram showing the process of making vermicelli is presented in following Flow diagram. The thickness of vermicelli and size of finished products are adjustable by changing die. The machine is easy to assemble, clean and maintain Special alloy spiral bevel gears minimize both friction and noise providing quiet operation. Drying temperature is around 55-65 C and time required is 4.5 to 5 hours for vermicelli or spaghetti. Jas enterprise Vermicelli dryer is fabricated out of rigid angle iron frame with double walled panels insulated with the best quality compressed fiberglass and with a rigid door fitted with strong hinges and best-chosen locking arrangement. A control panel is fixed in front of the oven to facilitate the operation easily. It has a large working space and is available, manufacturing from mild steel and in good finishing outside with automotive color and inside painted with heat resistant paint to resist temperature up to 400 degrees, in the standard model. A highly effective recirculation of air system is provided in the Vermicelli dryer. The system is designed so that the materials at the top and the bottom dry simultaneously. Uniform air circulation, controlled temperature, sturdy construction, and large working space are the valuables of the oven which is suitably designed to cover wide temperature range, loading and unloading are faster and simple. Available in wide-ranging models from 12 to 192 trays capacity. Trays are fabricated from aluminum (stainless steel trays optional). Unique and reliable design The Vermicelli dryer machines are highly effective as well as non-stop continuous drying process. 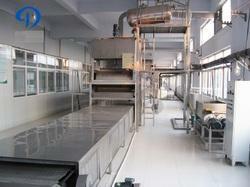 We are offering Sugar Powder Making Machine. 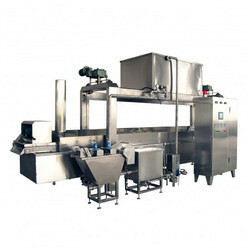 This production line can process fresh potatoes to slice cut chips, French fries and other various shapes of chips. A production line consists of machinery for the receipt, washing, and peeling of raw potatoes, as well as for the slicing, sorting, blanching, frying, cooling and packaging of French fries. An elevator is used for transmitting a large number of potatoes into the feeder. The potato cleaning and peeling machine are used to wash and peel them automatically. The finished potatoes are clean enough for further processing. Then it is the picking line that picks the well-formed ones and sends them to cutting machine. The blades are stainless steel and specially designed to cut them averagely. The rinsing machine is used for further washing the potato slices and strips. Blanching is a necessary part in processing vegetables and fruits as it can protect their natural flavor from being broken. Dewatering is prepared for the frying part. The dewatered potato strips are low in moisture and easy to fry. Frying is an important step. The edible oil temperature should be around180°C; when the potato chips become golden and soft, they should be fished out. Just grasp the right time, neither too early nor too late. The de-oiling line is the next step. De-oiling will make the fried food crispier and more palatable. Customers can season diversified flavors totally according to their own intentions. By way of the conveying belt, the seasoned potato chips are packaged. The whole processing line has strict demand for workers and manufacturing shop to offer clients assured potato chips. Baby Food Process Plant is one of the newly developed double-screw extruding techniques. The traditional stir-fry handiwork has low efficiency and less usable raw material, and its sanitation and quality are difficult to control. The double-screw extruding technique makes up those lack nesses. It not only can process grain material, like buckwheat, oats, etc but strengthen the nutrients to produce multi-functional nutritional healthy food, such as slimming grain powder, buckwheat powder, black sesame paste, red Chinese date thick soup, etc. We are offering to our valued customers a supreme quality range of Papad Making Machine. These papad machines are specialized machines that are precision engineered for production of papad, chorafali, and mathiya. Known for dimensional stability and long service life, this machine is offered at affordable price. Mixing ingredient is done in a separate mixer. 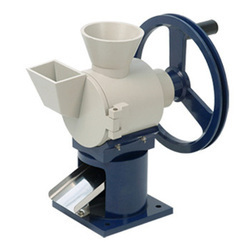 The dough just needed to be loaded in the hopper which passed on to the sheeter and gauge roller where the thickness of the papad or applum can be adjusted. 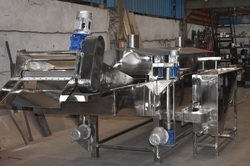 The food grade conveyor carries the round cut papad into the oven which is heated by electric, diesel, or LPG At the outlet of the oven you get papads without any scrap or wastage. Innovation and quality are the abiding values on which our company operates. We have initiated new standards that contribute to the growth of our organization. Moreover, we aim to provide complete satisfaction to customers by the way of our quality products excellent maintenance services. 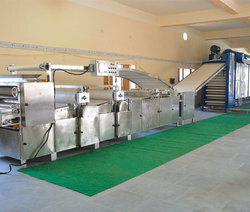 A key advantage of Automatic Papad Making Machine Unique and reliable design The Automatic papad making machines are highly effective as well as the non-stop continuous process. Easier operation & less maintenance cost. Continuous production per shift and a faster return on investment. Compact design occupies very little space. A minimized power consummation by the way of friction loses. Low noise operation, no wastage of product and no pollution hazard. Very easy operations require no skilled labor. 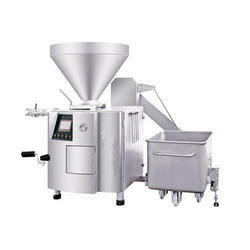 Looking for Food Processing Machine ?